What makes a great team? 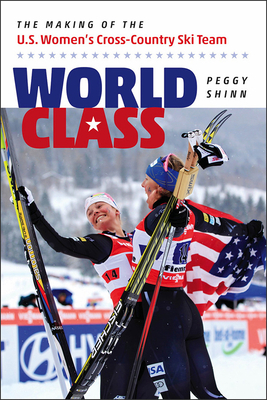 Sports journalist Peggy Shinn answers this question in her enthralling account of the dramatic rise of the U.S. women’s cross-country ski team, winners of eight medals at three world championships over the past five years. Shinn’s story—based on dozens of interviews with athletes, coaches, parents, spouses, and friends—paints a vivid picture of the obstacles that America’s female athletes must overcome not just to ski with the world’s best, but to beat them. In a sport where U.S. women have toiled for decades, mostly in the middle or the back of the pack, the development of a world-class team attests to the heady combination of a transformational leader, a coach who connects with his athletes, the super-fast individual skiers who are also conscientious teammates—and a bit of good luck. This is the story of Kikkan Randall, Liz Stephen, Holly Brooks, Jessie Diggins, Ida Sargent, Sadie Bjornsen, Sophie Caldwell, Rosie Brennan, and coach Matt Whitcomb—and how they created the perfect team. PEGGY SHINN is a senior contributor to the U.S. Olympic Committee’s website, TeamUSA.org, and a former contributing editor to Ski Racing magazine. She is the author of Deluge: Tropical Storm Irene, Vermont’s Flash Floods, and How One Small State Saved Itself.